Huawei is set to unveil the feverishly-anticipated Mate 20 and Mate 20 Pro during a keynote event scheduled for October 16. Ahead of the event, a new video render has revealed the Mate 20's industrial design from almost every angle. And it looks absolutely gorgeous. The video, which has been made by Concept Creator, is based on the recent swathe of leaked images, which revealed the Huawei Mate 20 Pro will sport a 6.3-inch display with curved edges to reduce the physcial footprint of the device. In the new video, the rear case of the Mate 20 Pro has subtly curved edges to make it more comfortable to hold in the hand. Rival Samsung uses a similar approach to improve the feel of its flagship Galaxy S9. 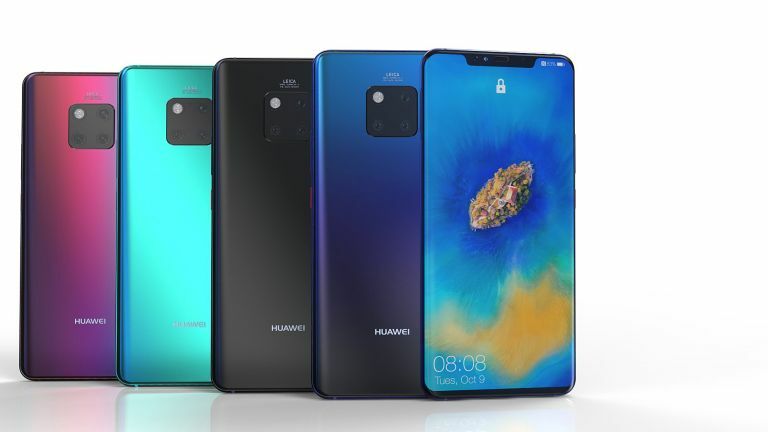 The headline feature of the Mate 20 Pro looks set to be the triple rear-mounted camera system, which is arranged into a square shape with the LED flash. According to sources within Huawei, the triple camera will include a 8-megapixel telephoto lens for improved quality on zoomed photographs, as well as a 40-megapixel colour and a 20-megapixel monochrome sensor. If that's sounds familiar at all, it's likely because Huawei used a similar set-up for its triple-camera system on the Huawei P20 Pro, which enabled 3x optical zoom, as well as brilliant low-light performance. The Huawei Mate 20 Pro looks set to sport a small notch, which is widely-tipped to house a facial recognition system similar to Face ID on the iPhone XS and XS Max. Meanwhile, the more affordable Huawei Mate 20 – which will not include any fancy facial scanning tech – is rumoured to favour a small teardrop-style notch. Huawei has already confirmed its brand-new Kirin 980 chipset will be powering the new Mate 20 range. That guarantees a significant step-up in performance and power efficiency compared to the Kirin 970 silicon sitting inside the Huawei P20 phones.